Learning objectives are at the very core of the instructional design process, and rightly so; without them, how would we know what content and activities to include in our courses? Unfortunately, more often than not, the learning objectives are not clearly defined, making it hard to determine whether they have been met. Enter: Bloom’s Taxonomy! This classification system was specifically designed to help instructors, and instructional designers, clearly define learning objectives—and in turn create courses that meet learners’ needs. Let’s take a closer look at how this instructional design principle applies to e-learning. In their original work, Bloom and a committee of educators identified three domains of learning: cognitive (mental), affective (emotional), and psychomotor (physical). However, when most people think of Bloom’s Taxonomy they think only of the cognitive domain. The cognitive domain is divided into six categories, each representing a cognitive skill level. Each category is associated with a set of verbs or cognitive processes that describe what learners should be capable of doing. In recent years, the names and order of these categories have been revised, but the general idea remains the same. Once you know the cognitive process that learners are expected to achieve and the type of knowledge the course covers, you’re ready to write your learning objective. How? Simply combine the subject (the learner), the verb from the cognitive process dimension (what learners must know how to do), and the object from the knowledge dimension (the knowledge they need to acquire). For example, at the end of this course, learners will be able to recognize the three domains of Bloom’s Taxonomy. 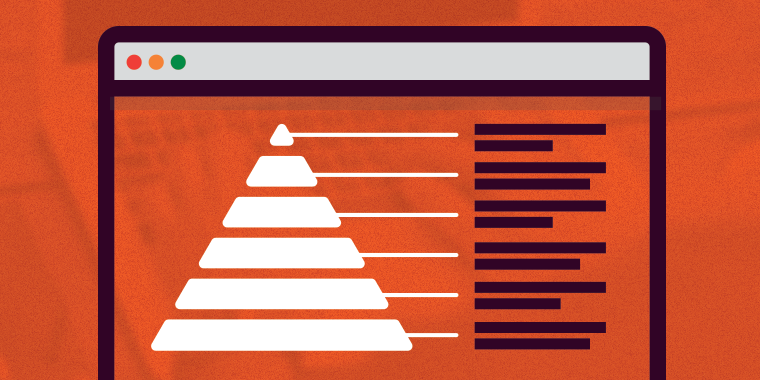 How Does It Apply to E-Learning Instructional Design? As e-learning designers, writing clear learning objectives is essential to the success of our courses. They are the basis for the instructional design process and should shape every aspect of our courses, from the content we include to the activities we design. It only makes sense that you would design your course differently if learners were expected to simply recall a piece of information versus asked to create something new based on said information. As you can see, certain activities can be used for more than one skill level; it all depends on how you design your course. And this is only the beginning—there are many more activities that you can design to help your learners achieve each of these cognitive skill levels. Hopefully this article has got you thinking about how you can apply Bloom’s Taxonomy to your instruction design process in order to create clear, concise learning objectives. Redundancy Principle: Should You Duplicate Narrated Text On Screen? Don’t forget to follow us on Twitter and come back to E-Learning Heroes regularly for more helpful advice on everything related to e-learning. And if you have any questions or comments, feel free to share them below! Cecelia Munzenmaier, MS, Bloom’s Taxonomy: What’s Old Is New Again (Santa Rosa: The eLearning Guild, 2013). This is a good introduction to Bloom's Taxonomy and I will refer to this in the research thinking for the next version of the Padagogy Wheel (no it is not a spelling error :-) The Padagogy Wheel started as an info graphic to show teachers how to put pedagogy first then choose the technologies to serve it. It has grown into so much more with each new version. The latest is V4.0 with twice the resources of earlier versions in 19 languages . There have been 139,324 posters of the English version downloaded from my blog in the last 15 months. Recently I released the Spanish and German versions with Chinese almost out and 15 more languages being translated at the moment. I am confident that if you are a teacher or a learning designer you will find it interesting. It extends what is being talked about in this article and gives teachers a visual flowchart reminder of the best way to approach building transformative learning experiences. Here are a few links for those interested: 1. "In Support of Excellence” is my blog.It has a great many resources for the Padagogy Wheel and Immersive Learning or Simulations.There is also articles on Articulate Storyline and Studio 13. http://tinyurl.com/alsltblog 2. "The Padagogy Wheel is not just Apps" this is a succinct explanation of what the Wheel is about. http://www.twitlonger.com/show/n_1smdg1r 3. A Learning Module developed in Studio 13 explaining more about how to get the best use out of the model. http://tinyurl.com/padwheelintroILM The Padagogy Wheel is all about edtech integration, the meshing of technology, thinking and student motivation. It uses Blooms Taxonomy as the architecture. Please look at it in the context of what is being said in this article it will improve your learning design. What do you think? This is excellent. I developed an online tool for writing learning objectives that is built around Bloom's Taxonomy. It's for teacher education programs but applies to training professionals as well. If interested it is in use by a number of Universities but available free online. You can find it by using Google to search for "Objectives Builder"
I think you have a good point there. I'm also interested in hearing what others have to say here. I've gone back and forth in listing them, or as a variation listing them in question form, or not at all. Does the learner need to how the soup is made, maybe not? Do they serve as an "advanced organizer" in any meaningful way to let the learner know what they will learn in the training? I never list learning objectives as statements at the beginning of a course module. I pose them as questions. I find this far more effective and less likely to trigger the usual boredom. I turn those cliched statements around and format them as problems requiring solutions, or scenarios that the learner might encounter. So instead of saying something like: "At the end of this course/module you will be able to....[list of boring statements here]" I'd say something like: "How should you respond to a co-worker who suggests you do something unethical?" or "Fred's workmate suggests he does something that might be unethical. How should Fred handle this?" I usually keep the list of questions around 5 or less in any single module. That way the module doesn't intimidate the learner. I really like the idea of presenting the objectives as questions instead of statements, I think it definitely is a more engaging way of going about it. Thanks so much for sharing, Rod! Rod, you make a good point about the intimidation factor that comes from a long list of objectives. I agree with Allison--posing these as questions is an interesting way to engage the learner. Good use of the "new" taxonomy. One minor correction, however. Bloom's taxonomy is called that because his name is listed first as the one who headed the committee. And yes, they did get around to doing the Affective domain, but not the Psychomotor domain. It is unfortunate that few IDs pay attention to the Affective domain because it provides a means to quantify seeming intangibles like motivation and whether or not training "sticks" over the long term. I agree. I have always found that i learn better when i am motivated by emotion. (i.e. fear of failure, desire to be the best, concern over hurting others, etc.) I found that if you can supply an emotional "hook" to a course, it always makes the content stick with the learner. Good point! Have you specifically used Bloom's take on this to design your e-learning course? I have tried. I used the "fear of hurting others"approach on a course on Privacy and Confidentiality. I used statistics showing the internal accidental data sharing is the number 2 cause of identity theft in a corporate environment. Then showed that fear in my characters and steered them towards learning about the methods to protect sensitive information. Its been a very big hit here. Interesting! I can see how that would be a great motivator. Thanks for sharing! Great article Allison! I also tend to provide learning objectives up front. I think it builds buy-in when you know what you're going to get out of the learning experience. I also like to share objectives in a learner-centric way. For instance, instead of a bulleted list of "After this course you'll be able to [insert action]" I like to mix it up and get learners thinking about the challenge or the opportunity in a more tangible, personal way if possible. So I might frame the learning objectives around a short narrative or I might re-state the objectives in the form of questions, like, "What if you could [insert action]?" Excellent idea, Trina! I also like to provide the learning objectives up front so the learners know what to expect. I love that you are thinking outside of the box in the way you present your objectives! I totally agree! I think it is important for learners to be aware of what they are going to learn. Those that aren't interested can always skip ahead (unless the navigation is restricted, of course). I'm beginning to change my mind about Bloom and his taxonomies. I find that Will Thalheimer's taxonomy is better http://www.willatworklearning.com/2006/06/new_taxonomy_fo.html . Our understanding of cognitive processes in learning has really shown Bloom to be lacking. I'm leaning more towards "Performance Objectives" where learners will practice or be assessed on performance in a representative task. This helps me understand what people need to do by the end of the course but it doesn't lock me into a this is purely mental or purely physical mode. Personally, I dislike listing objectives to the learner in the course. And when I see it in courses I am taking I get bored. There is nothing wrong with giving some overall goals but even that is usually redundant, most people know the subject of the course before they start. Julie Dirksen in her book, "Design for how people Learn" makes some very good arguments about this topic. Very interesting, Cary! Thanks so much for sharing. I can see where some learners may be bored by a list of learning objectives, but ideally, if you've broken up your course into a bite-sized course you'll only have one learning objective, in which case there really isn't time to get bored. Hello, Allison. I am an instructional designer from Brazil and a big fan of your blog. I wish you better clarify two points that were not clear to me in your post. You said Bloom’s Taxonomy “was specifically designed to help instructors and instructional designers clearly define learning objectives—and in turn create courses that meet learners’ needs.” In my understanding, Bloom's Taxonomy not help to define learning objectives. If an ID do not know how to define learning objectives, then the taxonomy will have no use for him or her. Besides, a classification system, by itself, does not help to meet learners’ needs. I believe this action can only be done through direct research with learners. What Bloom’s Taxonomy does (and does very well IMHO) is to sort the learning objectives - after they are defined in terms of behavior of learners - in order to give coherence to the instructional endeavor, i.e., ensure consistency and balance between objectives, content, activities and evaluation. Ok, Allison. Thanks for replying.